Estimating Director Steve Reason, Seamans Building, was a keynote speaker at the NFB Heritage Group Event on Wednesday 7 March 2018. 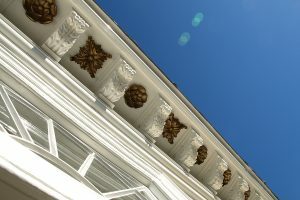 His detailed presentation showcasing the extensive range of traditional skills Seamans Building offer and the works undertaken on the Grade 1 Listed Cupola House in Bury St. Edmunds was a huge success. 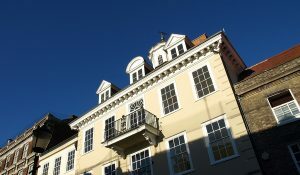 Grade 1 Listed Cupola House in Bury St. Edmunds, which is shortlisted for the NFB 2018 Awards within the Heritage category. The NFB event was held at the inspirational Monastery in Gorton Lane, Manchester. The Monastery is an impressive story of renovation and transformation from near dereliction to an award-winning centre of inspiration – the perfect venue. The event was devoted to Heritage Building, celebrating the skills that exist, looking at new crafts people and discussing procurement routes for heritage work. There was a lively Q&A session after the keynote addresses. NFB Heritage Group members were joined by members of the NFB and construction companies. Seamans Building offers apprenticeships to support new and up and coming craftsmen across many trades.Our people are at the heart of what we do, and as part of our family ethos, Seamans Building are fully committed to training. We believe that by nurturing graduates, apprentices, and craftsmen we can ensure that the quality of traditional skills and values are protected for future generations. 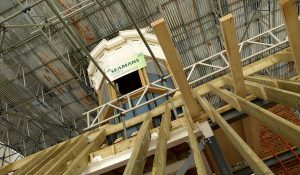 Our broad range of skilled craftsmen and extensive professional experience offer expert training, alongside training colleges, the Construction Industry Training Board and local universities to provide opportunities at all levels within Seamans Building. 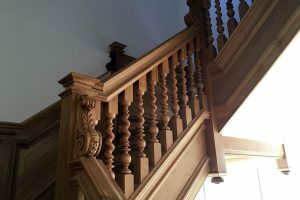 As a renowned, award-wining building company, Seamans Building, blends the traditions and values of heritage craftsmanship with fresh design and contemporary skills, offering bespoke, high specification, individual building services in Norfolk, Suffolk, Cambridgeshire and Essex. If you like m ore information on apprenticeships or feel you have the necessary skills to join our exciting team, then please contact us. This entry was posted in News and tagged apprenticeships, NFB Heritage Group Event 2018, seamans building on 10th March 2018 by Penny.